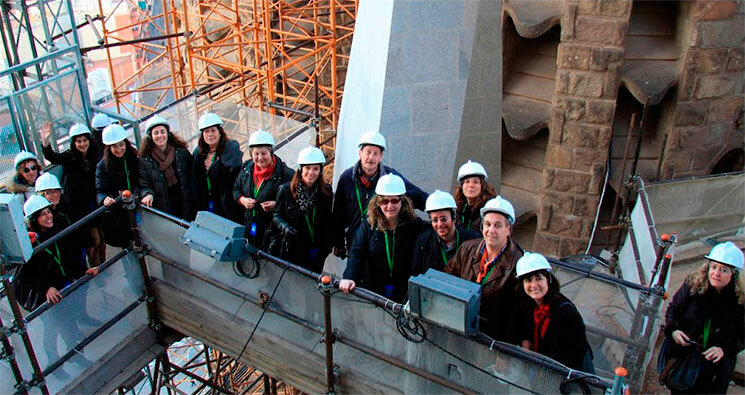 The only training center exclusively dedicated to tour guiding in Barcelona is Barcelona Guide Bureau’s Tour Guide Training Centre. Developed by tour guides for tour guides, the activities are practical and carefully selected in line with day-to-day guiding. We offer a wide range of activities from recently opened museums, itinerary design, sustainable tourism, customer service and problem solving. Furthermore, members of the training centre have access to our library and training dossiers on specific museums or particular routes. Prospective guides preparing to enter the profession can join our Guide Training Course. They will gain more than knowledge on culture and history, but how to be a guide, the daily issues they encounter, how to talk in public and adapt to the customers preferences. It is also the exam preparation course for the Guia de Turisme de Catalunya license. People are the fundamental core of our activity. We inspire and train our employees to guarantee we deliver an excellent service and ensure they receive both personal and professional development of the highest order.